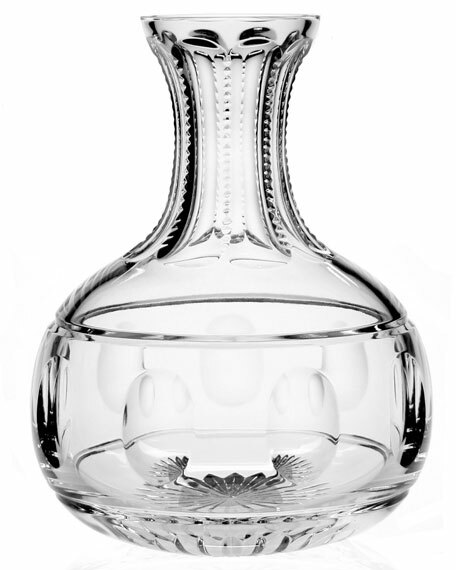 Serve your favorite vintage in this lovely carafe. 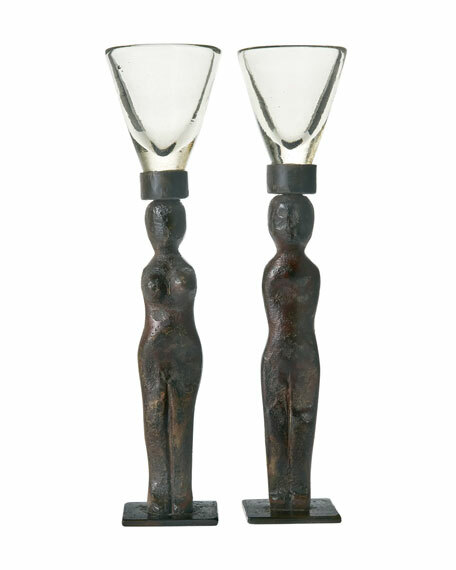 Adam and Eve wax cast iron stands. Clear glass cordial top. Set of two. Hand wash. Base: 5"Sq. Imported. 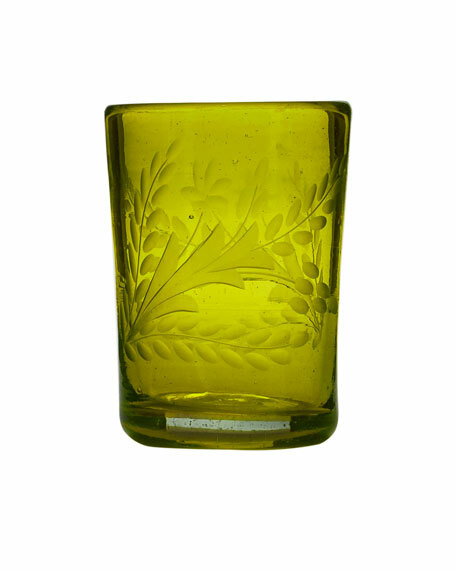 Citrine mouth blown glass juice glass with pepita engraving. 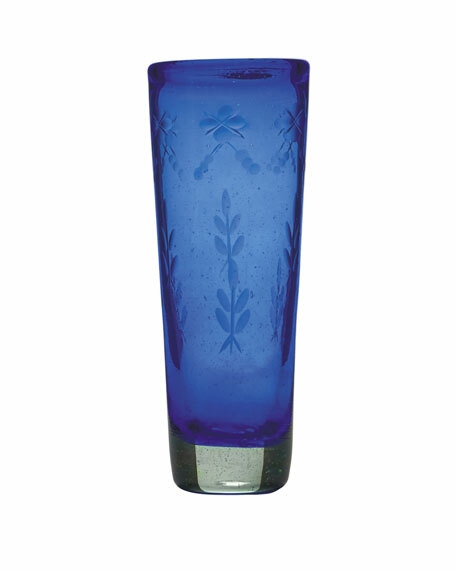 Each glass is handmade; size and color will vary slightly. Approx. 3"Dia. x 4"T. Hand wash. Imported.